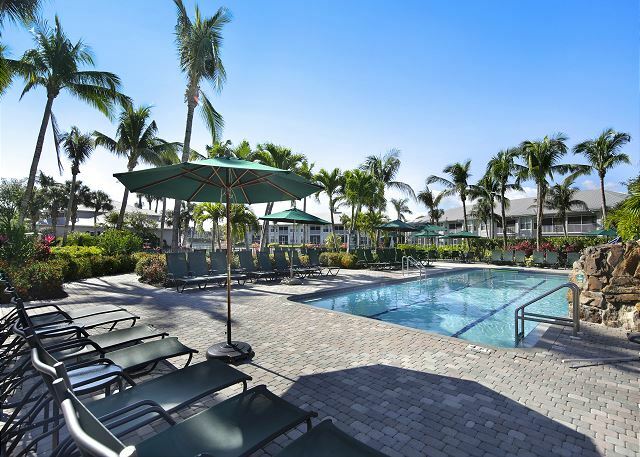 Our Seagrape golf villa is a luxury renovated condo in Lely Resort's Greenlinks community, offered for rental exclusively through The Holiday Life! 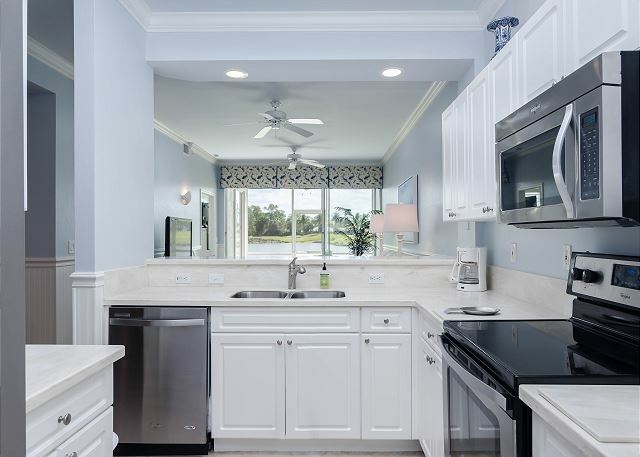 This completely updated unit features 2 King size bedrooms with beautiful bedding, bathrooms with pebble stone tile, granite and Corian countertops, new stainless steel appliances, and all new tile, premium carpeting and furniture throughout. The screened lanai has one of Greenlinks best views over the lake and golf course and is super quiet and peaceful, as it is located at the back of the community. Recline on the leather sofa with theater style seats to watch the flat screen HDTV and enjoy views out to the lake beyond. Another sitting area at the front of the condo has another flat screen and both bedrooms have televisions so there is space for everyone to relax! The dining room seats 6 and has a beautiful built in mini bar and designer lighting for great ambiance during meal time inside - or dine alfresco on the lanai! 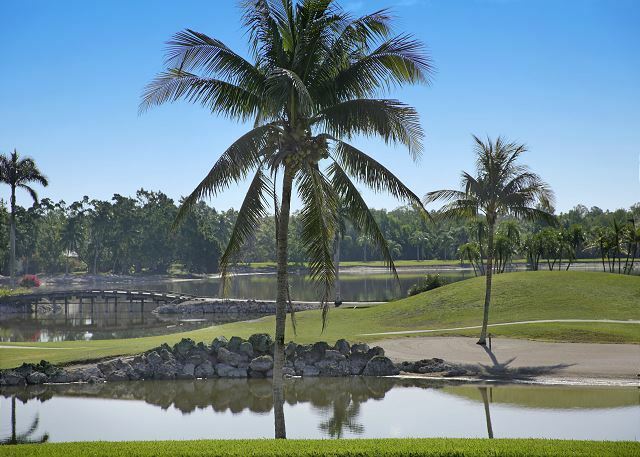 Greenlinks at Lely Resort was designed as a tropical haven for golf enthusiasts, complete with plenty of features to keep non-golfers happy too! 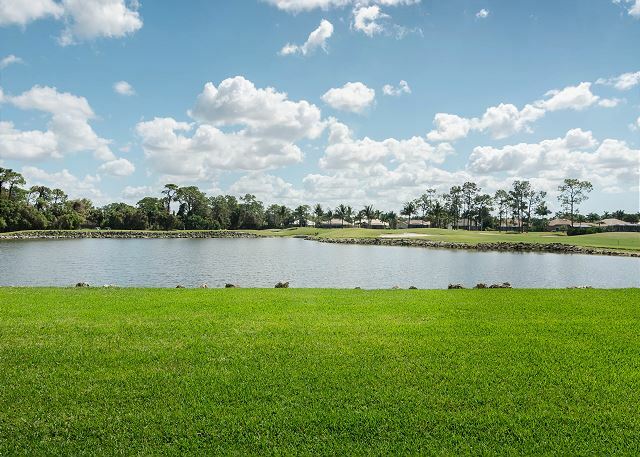 If you are a golfer, a bonus of renting in Greenlinks is that you are eligible for free or discounted golf greens fees at Lely's championship, 4 star Flamingo & Mustang Courses! Free rounds are available with summer and fall rentals from May 15th - October 15th. Discounted rates are available from during the winter and spring high season. Discounted rates vary based on date and time of day - inquire for details! 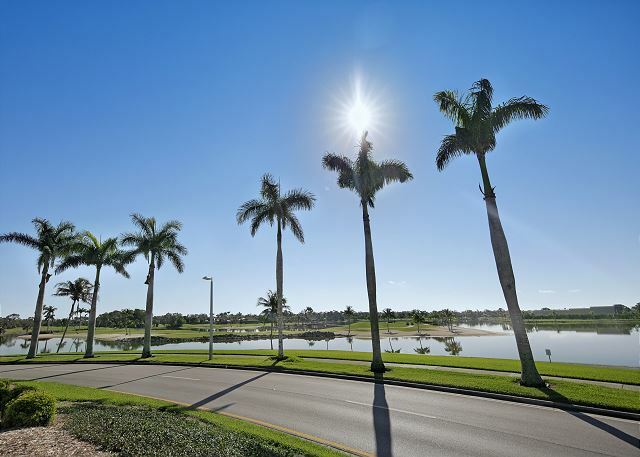 The community is located directly next door to the clubhouse for Lely Resort’s 4 Star Rated, championship Flamingo and Mustang Golf Courses. 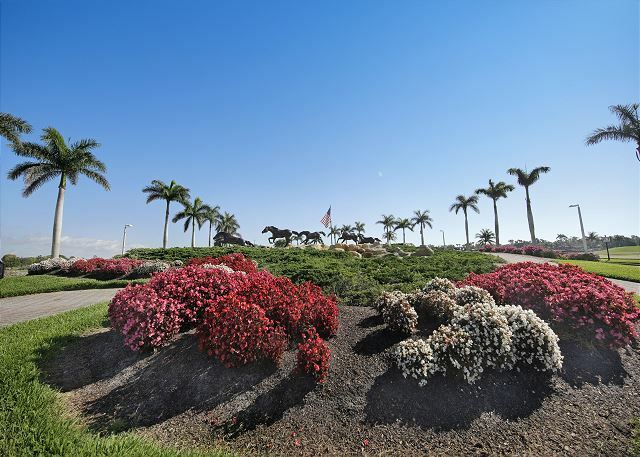 Walk over and enjoy the practice facilities, browse the pro shop, or enjoy a meal or cocktail at Sam Snead’s Bar & Grill overlooking the course. 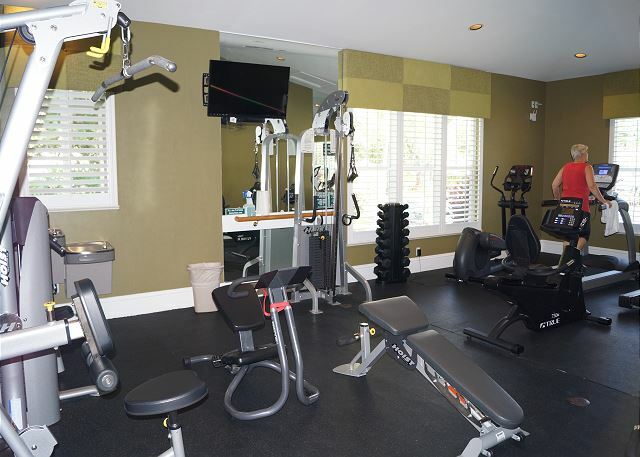 In addition to golf amenities, the community offers a private clubhouse with a fitness center and resort style pool area and hot tub for owners and guests. Beautifully decorated and extremely clean! The condo was fantastic! Great location! Extremely clean and one of the most beautifully decorated accommodations I have ever stayed at! Really enjoyed our stay! It is great for 2 couples as it has 2 bedrooms with king beds and attached bathrooms. Newly remodeled and very clean. We would definitely return. Thank you, Deborah! 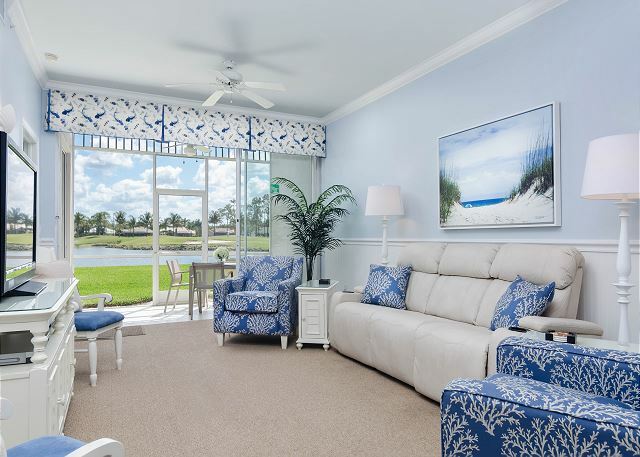 The layout of Seagrape is ideal for 2 couples. Happy that you had a great trip to Naples! We would love the opportunity to host you again in the future! Super cute, super clean, super updated! Loved the renovated bright and cheery decor, the view across the pond and the electronic reclining sofa!!! Couldn’t have been more comfy...great stay. Thank you, Dawn! So glad you had a super trip to Naples! We hope to host you again in the future! This rental was as described. Great for two couples, clean and turnkey. Thank you, Randy! Gad you had a wonderful vacation in Naples and the condo was exactly what you expected. Hope to host you again in the future! 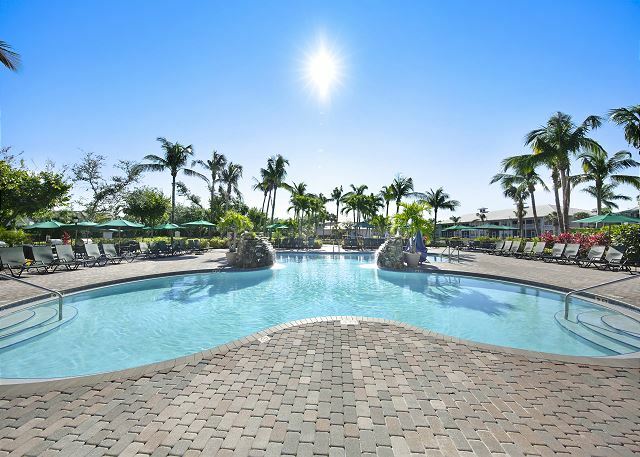 This condo was perfect for 2 couples, including the layout, comfortable beautiful furniture, cleanliness, well stocked kitchen, gorgeous view and nearby pool. The Holiday Life Office was very professional, prompt and helpful when we contacted them about 2 minor issues. I would definitely recommend this property!! It was a pleasure hosting you, Judy! We're so glad you had a great vacation in Southwest Florida! See you next time! Thank you, Carolyn! We're so glad you enjoyed your stay at Greenlinks! Greenlinks 1414 .... Year Two! This was our second visit to unit 1414. It is just a wonderful, clean, updated in every way, comfortable way to spend a vacation. My husband had some corporate “work” that needed to be addressed during our 2 week stay and the desk/chair in the beautiful guest room was perfect. The kitchen was set up like most condo kitchens of this caliber...everything you might need. The dining room has a wine/drink fridge that was awesome. 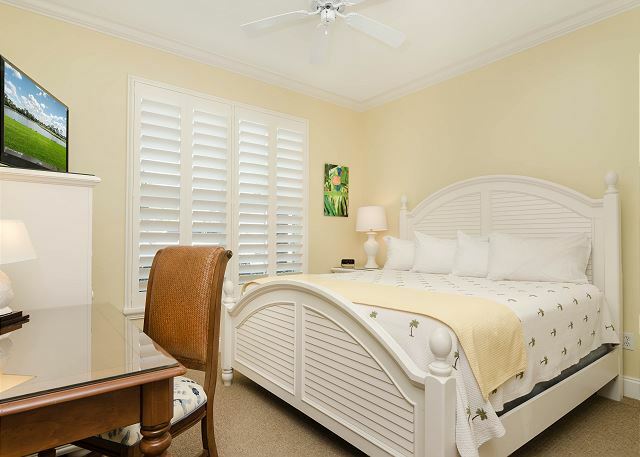 Both bedrooms have king beds and ample chest/closest space for an extended visit. Master King bed is very comfy. 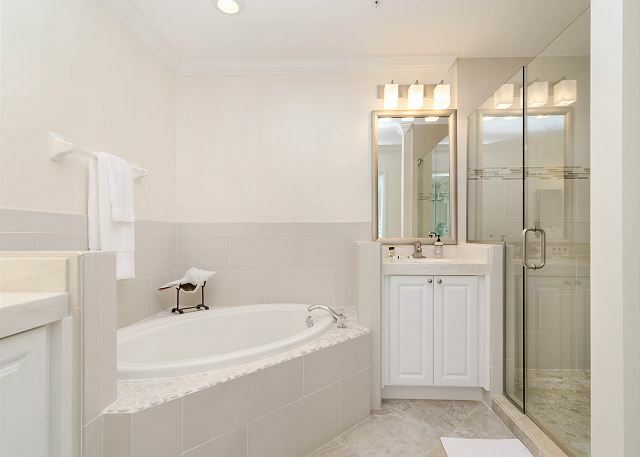 The Master bathroom is beautiful.... with double sinks and a wonderful shower... only addition could be a convenient hook or bar to hang used bath towels . The guest bathroom is perfect! The view from kitchen/living area and Master Suite is just as pictured. We loved sitting on the lanai at all times of the day! The Publix, Walmart and other shopping is very close and ample parking right in front of condo is key! Forgot to mention the clubhouse has great equipment for my morning treadmill walk and the pool area is fun! We will be going back to 1414 for year three and have already secured our stay for 2019. Thank you, Maureen! We're thrilled that you enjoyed Greenlinks for the second year in a row! Sounds like you got the full vacation experience! We can't wait to have you back in 2019! 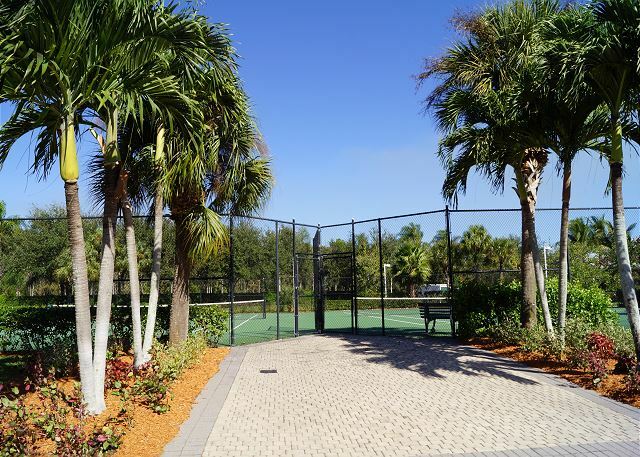 This rental condo is in exceptional condition. The decor is relaxing and comfy. The reclining leather sofa and mattresses are very comfortable. The photos perfectly portray this very nice place. On top of that, the staff at The Holiday Life were wonderful and made it a good experience. Their prompt responses are amazing! on arrival we had a great impression on the convenience of check inn, fast and efficient. The photos of the family owning the property in the dining room, enchanted us, very friendly. Ali is a place of family coziness. The basic supplies for our stay were there for us to start our vacation. The decoration of the house is an invitation to relaxation. The mattresses and linens and bath, of excellent quality. My son is still dreaming of that recliner in the living room. It was a great time, congratulations to the owner family and the administrators of the project. Remember to check the master bedroom window, it is not closing. Thank you, see you later. Great location for golf,beaches and main area attractions.Beautiful Condo even better in real life than the superb gallery photographs.Two wonderful en- suite bedrooms.Excellent spacious lounge,separate dining area,den and practical kitchen.The sun streams across the lake into the Llani for great breakfasts. The place is incredibly well equipped even having a a drawer to keep your cold drinks at the correct temperature.Excellent pool for Greenlinks residents. Must visit 5th Avenue South in down town Naples for brilliant shopping and restaurants.Bonefish was also extremely good. and the service we received from Casey,Kelly,Dodie and Janet was exemplary. Given the opportunity will definitely use again.